Portfolio Management Schemes: Will Your Portfolio Blow Up? Astudy for DSP Blackrock conducted by Neilson reported that about 77% of working women in India depend on their father or spouse for making investment decisions for them. Of the 23% women who invest on their own, 18% are single working women. “Most women are only informed of investment decisions already taken; or at best, are joint decision makers… Women are inclined towards safety and believe in long term investing. The main reason why women don’t take investment decisions is that they are safety oriented and reluctant to take risk,” the report noted. Among working women, sole decision-makers in the urban areas stood at 24% while in the rural areas the number was 20%. Among non-working women, sole decision-making power was mainly with women in the metros. Instances are not rare where the bread winner suddenly passes away, leaving the family not only in grief, but also in a financial mess, causing considerable hardships to the surviving family members. Recently in the last week of March 2013, a retired senior citizen passed away suddenly. 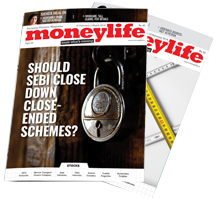 To put together his various investments, his wife would have to go through many hurdles like complying with various requirements of different financial institutions. But thanks to his careful ways of handling his finances during his lifetime, the burden on his wife was much less and she could weather the storm easily, though basic paper work was inevitable. Here is a step-by-step account of how she coped up with her husband’s multiple investments in different banks and institutions with a little help from her relations. On going through his various passbooks, it was found that he had bank accounts with four banks and fixed deposits with all of them as he used to make investments with more than one bank to benefit from the higher rates of interest offered by these banks periodically. The biggest blessing showered by him on his wife was that he had meticulously opened all these accounts and deposits in joint names payable to either or survivor. This helped his wife to get all these accounts converted into her single name by simply submitting a letter along with a copy of the death certificate to the bank, requesting to delete the name of the first depositor and continue with all the accounts in her single name without having to close any of these accounts. Though she could as well have added a second name to the same account, she preferred to make a nomination of one of her close relations to these accounts now standing in her single name, as she did not have children of her own. This whole exercise was completed in a single day, and she could access all these accounts on the same day. The advantage of having the bank accounts in joint names is that they can be easily converted into single accounts and all fixed deposits could be continued under the second name till the original maturity date at the same rate of interest, which incidentally in the instant case happened to be higher than the present rate of interest offered on such deposits. If these long-term deposits were not in joint names, but in a single name with only a nomination in her favour, his wife would have got the money released from the bank without difficultly, but would not have got the benefit of the existing higher rate of interest on these deposits till their maturity. The couple had a safe deposit locker in the same bank where they had their savings account. As the locker too was held in joint names with operation by any one or survivor, it was easy to convert the same in to single name by simply requesting for deletion of the name of the first account holder and continuation of the same locker facility in the name of the second holder. Since the locker is now held in a single name, separate nomination was made in favour of one of her close relations, whom she wanted to bequeath all her jewellery, for smooth transfer of assets after her. The husband had a demat account with Stock Holding Corporation of India (SHCIL), jointly with his wife and all his share investments were pooled in this account. In the case of demat accounts, there is neither a provision to operate the account severally, nor is there a provision to delete the name of the deceased account holder, when one of the account holders dies. Consequently, the only option available to the surviving account holder is to close the original demat account and open a new account and get all the shares held in the old account transferred to the new account. In the instant case, the wife had to open a new account in her single name and the depository participant readily agreed to transfer all the holdings to her new demat account by submitting the notarized certificate of death of the first holder and on complying with all the KYC formalities for opening the new account. The only problem was that it took more than a month to get the entire process completed during which time; she could not operate the demat account either for buying or selling of shares held in the account. However, the silver lining was that the transfer of the entire share holdings from the old demat account to the new one in the name of his spouse was done without any charges, as SEBI (Securities and Exchange Board of India) has mandated that no charges be levied in all such cases. He had investments in as many as six different mutual funds, but, fortunately, all these investments were also held in joint names. But here again unlike bank accounts, there is no provision to delete the name of the deceased depositor, and all mutual funds insisted that a new account is required to be opened in the name of the wife of the deceased, though she was a joint holder with either or survivor clause. Due to this requirement, she preferred to close all accounts and sought redemption of all mutual funds by submitting a request with a copy of death certificate to each of the mutual funds. It took about two weeks to get the payment, as some funds insisted on complying with the KYC formalities before paying the redemption amount. Since the wife of the deceased had KYC documents ready, it was easy to get these investments redeemed, though some paper work had to be completed. Benjamin Franklin said, “In this world nothing can be said to be certain, except death and taxes”. So even after the death of a person, there is a need to complete the process of paying income tax on the income of the deceased till his death, if he was an assessee for previous years or he had income during the year of death above the threshold limit under the Income tax Act. As the deceased was a tax payer for the last several years, and had income beyond the exempted limit during last year, his wife as his legal representative has to file the return of income for the year assessment year 2013-14. She completed this process last week by paying the balance tax due and arranging to file the return of income with the help of their tax advisor, a chartered accountant. 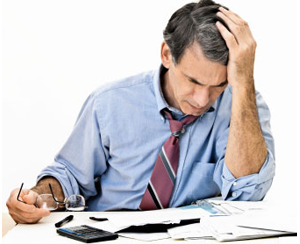 This, I understand, is necessary in the interest of closing the income tax file of the deceased, as otherwise, the tax department may issue a notice to the legal heirs and lay a claim for the unpaid tax with penalty from the estate of the deceased, which can be avoided by filing the return on behalf of the deceased after remitting the tax dues. The departed senior citizen had a left a will bequeathing all his assets in favour of his wife. But the necessity to use the will did not arise because of the ease with which the assets were transferred to his wife, who was the only legal heir as stated above. The moral of the story is simple. If one loves his family and wishes to ensure that his kith and kin will have easy access to his hard earned savings, it is advisable to take the following steps, which do not cost anything, but will save considerable time, money and energy for the loved ones, when one is not around to help them. 1. As age advances, it is desirable to consolidate all your bank accounts by closing all those accounts which are not being operated or used by you. Maintain only those accounts which are necessary for your day to day use. 2. It is advisable to have all your bank accounts in joint names with your spouse with either or survivor clause, as it facilitates operation of the account if one the account holders fall sick or unable to operate the account for any reason. If, however, you do not wish to authorize your spouse to operate the account, the account can be made payable to No.1 or survivor, so that the second holder will have access to the account only after the demise of the first account holder. 3. If you have any bank account in single name at present, you can add the name of your spouse or any other close relative even now by just requesting the bank to do so without any cost or lengthy formalities. This can be done even in the case of fixed deposits, if you have invested in bank deposits at present. 4. It is desirable to register a nominee for all the bank accounts by giving a letter of nomination, whether the account is held in single name or in joint names to facilitate release of funds to the nominee easily after the demise of the account holder. 5. It is necessary that a proper nomination is registered with the bank separately for locker facility, particularly when the locker is held in single name, to have easy access to the locker when the account holder passes away. 6. If you hold shares in physical form, it is advisable to open a demat account and deposit all eligible shares in this account as it helps to transfer the shares easily to the legal heirs of the account holder. Even here, it is necessary to register a nominee for smooth transfer of shares after the demise of the shareholder. 7. If you have investments in mutual funds, please arrange to get a nomination in favour of your spouse or a close relation registered for every mutual fund, if not already done, as it will help in speedy redemption after the death of the investor. 8. 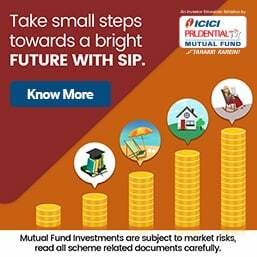 If you have any other investments like Post Office Savings accounts, Public Provident Fund, fixed deposits with companies, insurance policies, etc please ensure that appropriate nomination is registered with all of them, which can be easily done even now by simply filling up a form and submitting it to them. 9. Despite complying with all the above, it is useful to make a will, if one wishes to bequeath his wealth to his different legal heirs in different proportions or to totally different beneficiaries apart from his legal heirs like for charities etc. Once the will is executed, all the nominees already registered will have to abide by the wishes of the testator (a person who has made a will) and the assets of the deceased will have to be distributed accordingly. Moneylife Foundation periodically conducts seminars on Wills and Nominations and it helps to attend these seminars to understand the importance of making a Will. Confucius said: “Life is really simple, but we insist on making it complicated”. Let me add that we make it complicated by our own actions and inactions. So let us act now, before it is too late, to put our finances in order, because, as the saying goes, stitch in time saves nine. The author is a banking analyst and writes for Moneylife under the pen-name of Gurpur. Mostly we forget that Insurance will be much useful for our families. We expect good returns through insurance for us. But Insurance is mainly for our families during unforeseen circumstances like death or permanent disability. excellent article,simple language,most useful for common man.pl. cover immovable property in next article. Is there no implication from incometax perspective, if the spouse whose name you wish to add is a separate tax assessee? Yes, what good old Confucius said centuries back is more appropriate even to day. 4. Make out a simple one page will to avoid complications. It makes life lot more simpler for the survivors!